Single flooding area control panel. 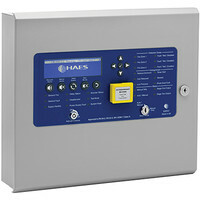 Fully configurable to control automatic extinguishant release scenarios. 999 time and date stamped events log. Approved to EN12094-1, EN54-2 & 4.